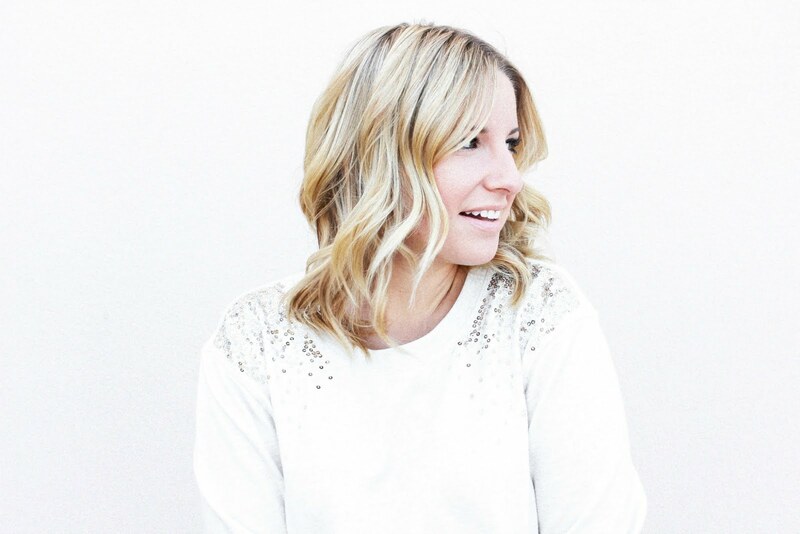 I've been intentional about my skin and routine with keeping it maintained lately from finding product I love, incorporating treatments - like microneedling and hydra facials - and adding in a probiotic to work from the inside, out. TULA is a company I've been using for a few years now and love everything from them. 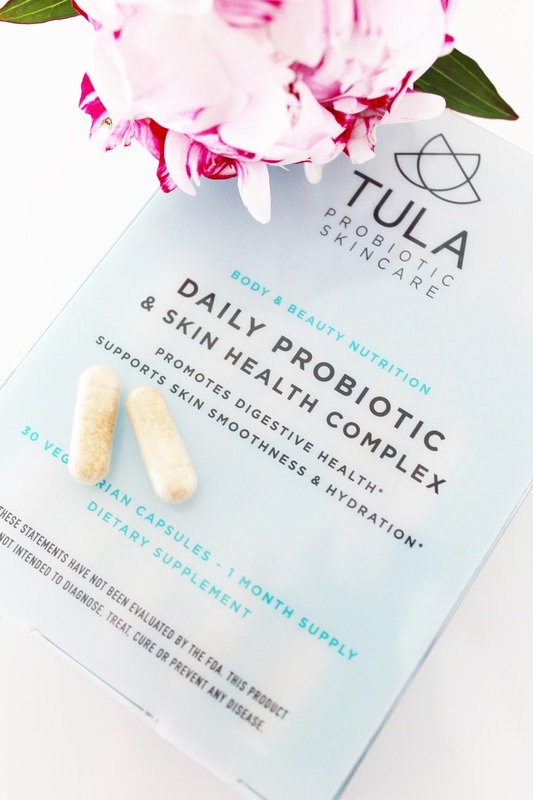 I try products all the time from other companies and TULA is the one I run back to when my skin is inflamed and a mess from trying all said products. TULA means balance, so it quite literally fixes all the issues I have from trying other skincare routines and balances everything out again. I should learn by now to never stray because it's the cream of the crop! The New Year typically means resolving to do something differently or better and as I age, continuing to maintain my skin on a whole new level is at the top of my list. 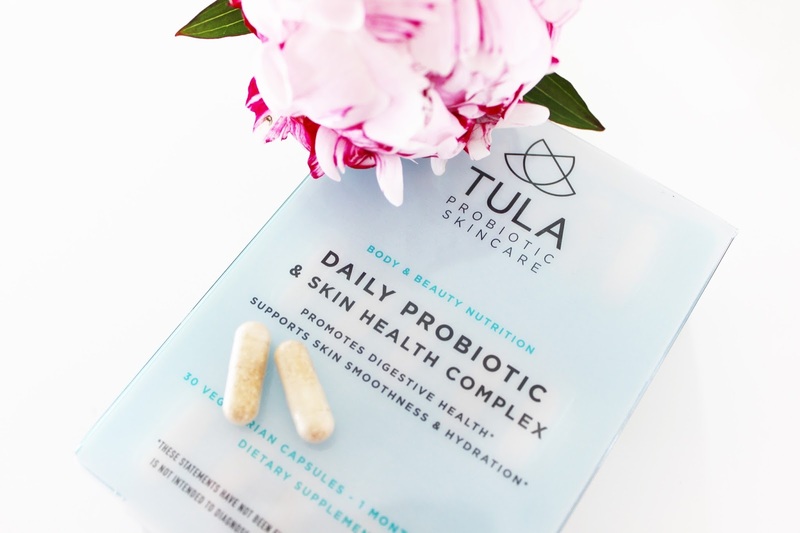 I've seen such a change in my skin since incorporating regular treatments paired with these daily probiotics and I'm a subscribed monthly sender now - I can't quite them! On top of using TULA regularly, you've probably seen me at Carly's office regularly doing treatments for acne scarring and dark spots I have. She's done an amazing job at recommending treatments tailored to my needs while also helping me feel my best. I'm a Dysport (Botox) lover and I'm not afraid of a little Juvaderm either. All done the right way really enhances beauty that's already there and helps make you look refreshed. Some people have asked me how old I am and when I started doing Dysport and Juvaderm fillers and I had my first session done when I was 26 but started doing them regularly after I turned 28. Wouldn't go back, either! If you have questions about it, please leave them for me! I'm happy to share my experience and thoughts to help educate you with bettering your skincare regimen. 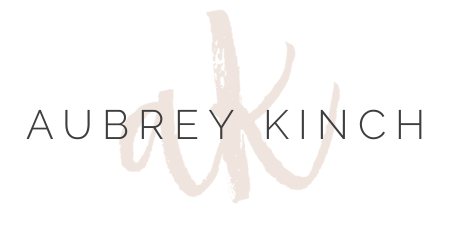 Here are a couple blog posts I've written about treatments with Carly!